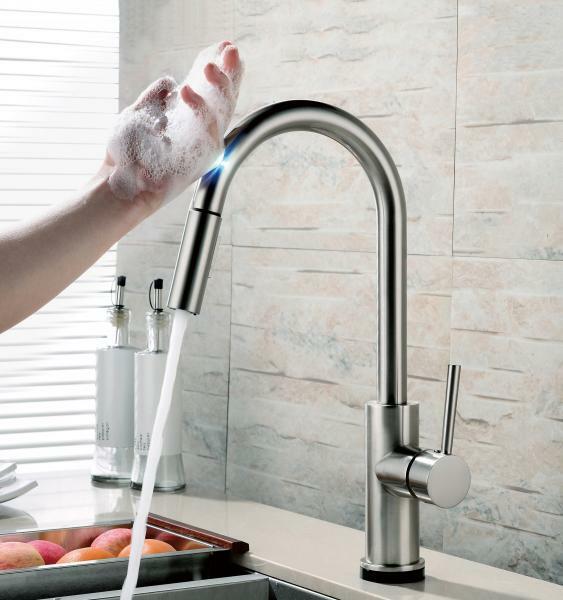 Now that the new year is upon us, manufacturers are rolling out new kitchen and bath products with integrated tech features, but the best ones offer user-friendly, convenient, and clever space-saving features. Scott Kaminski, marketing and communications manager for Häfele, the international manufacturer of architectural hardware and furniture fittings, points to several new products that the company has in its inventory. They all have the user in mind. For example, the Hailo Libero 2.0Auto Opener, which is set to debut later this month at the 2019 Kitchen and Bath Idustry Show, is a slick electronic, hands-free opening mechanism for practically any base cabinet pullout. “The mechanism operates the pull-out via a foot sensor or with an optional remote control, making it very user-friendly,” Kaminski says. Häfele also offers a Multi-Dimensional Bathroom Mirror with integrated touch-keys that allow the mirror to switch lighting effects such as backlighting and warm or cool makeup lighting. Touch buttons activate an anti-fogging function and integrated Bluetooth-enabled sound system offers entertainment. New York-based designer Michael Wood says he’s a big fan of Hafele’s folding Step Stool, but another product that is on his radar right now is the Grohe Blue chilled and sparkling water filter system. “Just about every client wants one,” he says. 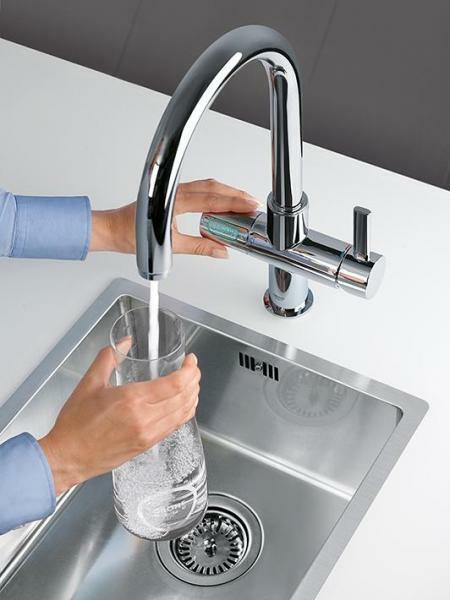 Unlike a countertop soda maker, the Grohe filter faucet with cooler and carbonator doesn’t take up extra work surface. You can also select still, semi-sparkling, or full bubbly with a simple turn of the handle. Last month at the Consumer Electronics Show, Kohler unveiled the aspirational loo of the year. Billed officially as the Numi 2.0 Intelligent Toilet, the unit includes mood lighting, music set by voice command, and customizable seat heating. Pricing for the “fully immersive experience” toilet is in the $7,000 range; add $2,000 if you want the toilet in a black color. More cool tech comes from Leviton, which just introduced the Decora Voice Dimmer with Alexa built-in. 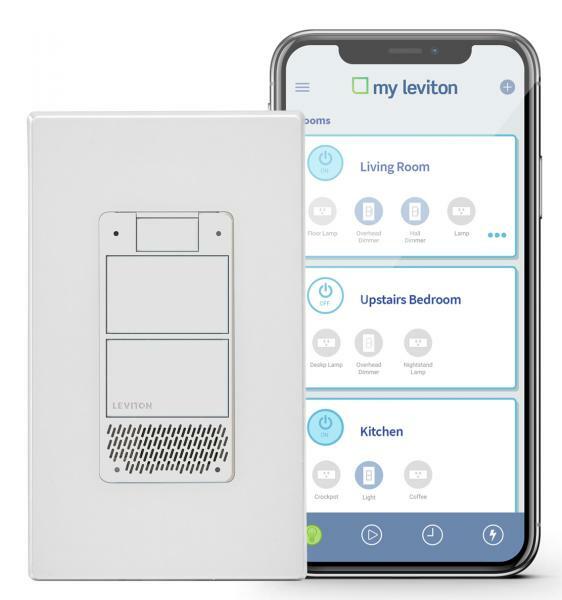 The lighting control device, coupled with the My Leviton app, creates a whole-home lighting control system that allows homeowners to adjust the lighting with voice commands. Not all clever solutions are tech-based. 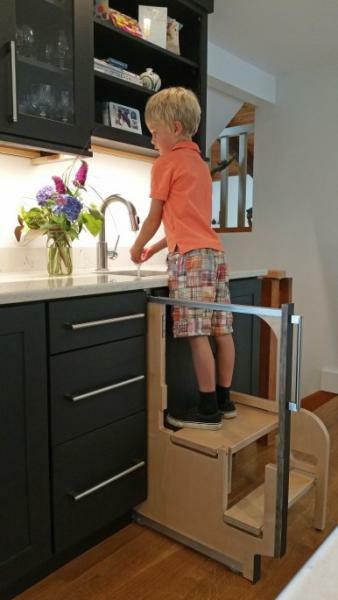 Recently Hideaway Solutions in Little Compton, R.I., introduced a foldable step stool that tucks in between cabinetry. “The Step 180 trades 1½ inches of base cabinet space to allow the user to access up to 6 feet of upper cabinet or shelf space,” the company says. It’s made from hardwood plywood, needs only 1½-inch width between cabinets, offers 15¼ inches of step height, and has five adjustable depth positions. These introductions represent a new wave of product development that is making an attempt to solve problems for homeowners—and look good while doing it. IS THIS THE FUTURE OF HOUSING? This product offering from Kohler just goes to show ya how stupid Kohler thinks we are. Seven grand for a toilet? Not unless it wipes as well.